Once a Thai fishing community, Koh Samui continues to charm today with natural beauty and warm Thai hospitality, and some positive changes are in store for visiting superyachts. Known as the Crown Jewel of Thailand, Samui is a paradise of azure blue water with miles of pure white sand beaches. Some of the world’s most luxurious five-star resorts nestle at the base of lush verdant mountains with stunning views and direct access to the seas of the Gulf of Siam. Arriving superyachts fit right into this equation. 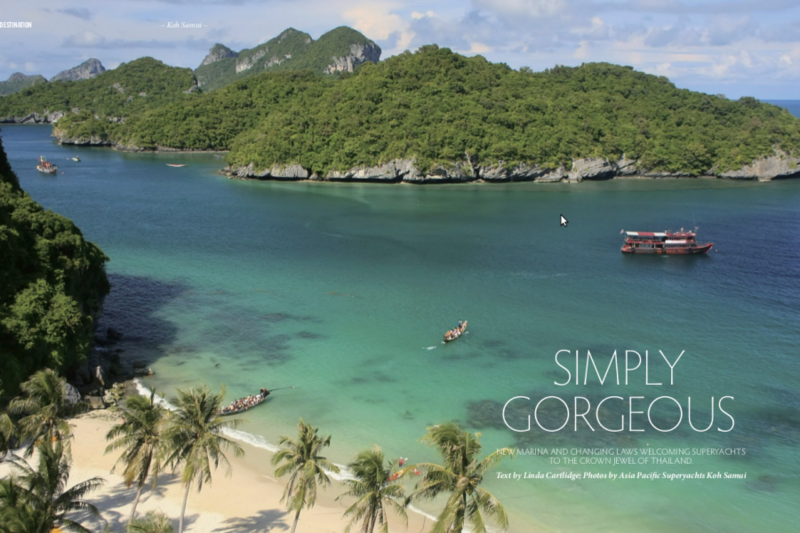 With Samui as a base, owners and guests enjoy island life between cruising and dive journeys through the archipelago of Ang Thong National Marine Park and neighbouring islands. This exquisite tropical island destination in the Gulf of Thailand (or Siam) is majestically located – a place where superyacht journeys can be combined with the ultimate in a luxurious exotic holiday stay. Read the whole report in the downloadable PDF below.